Grammy award nominated performer Afroman is coming to Panama City Beach’s Beach Bash Music Fest on March 18 at Harpoon Harry’s. Tickets are now available to purchase online, however, this concert is FREE with your Panamaniac VIP Card, also on sale now online. 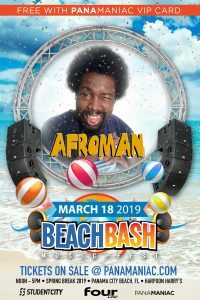 A hit with college students across the country, Afroman was a huge success one year ago while in South Padre Island, performing at the Beach Bash at Rockstar Beach. 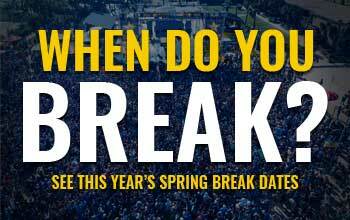 He will also be performing in Daytona Beach this Spring Break.